Notes: The commander in charge of the squadron stationed in the capital, Kalhyra. Her early life was spent in a Juturan Labour Camp after her village’s sector was over-run by the enemy. In her teens she escaped, a notable feat in of its-self, and made her way to Valaran controlled territory, a week long trek over some of the most dangerous war zones in the south. Upon coming of age, she enlisted into the army, swiftly rising through the ranks through a combination of resilience, intelligence and dedication. 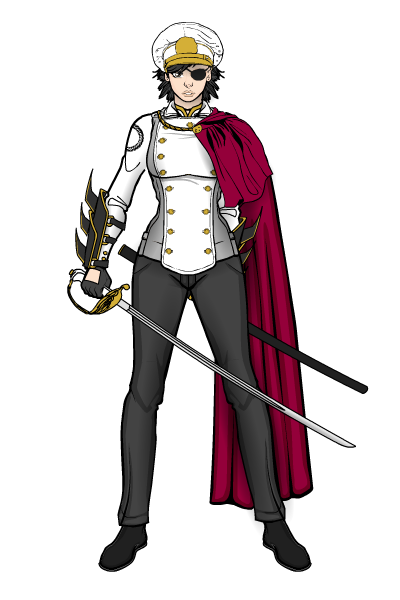 Placed in charge of the Central Security Station, her main role is to assist Commander Heinriechs Truth Corps, a possibly invaluable asset to the war effort, although Commander Mako has put in numerous requests to be transferred to a more front-line squadron. Character Building Note: Yarin mako lost her eye during her escape from the labour camp. Her other numerous scars came from either punishments within the camp (most notably the large dual scars down her chest) or during combat. The necklace she wears bears the symbol of Valara and was gift from another prisoner during her time in the camp. 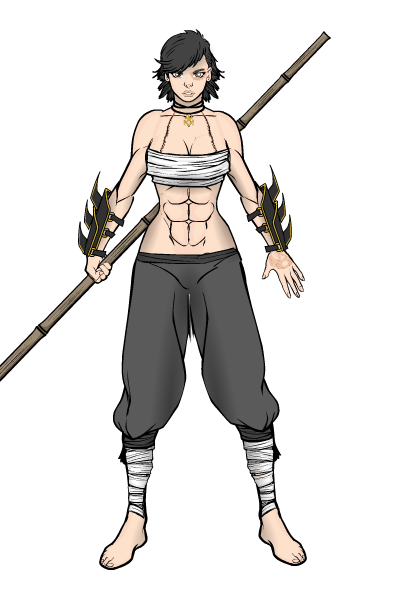 (Yarin’s training outfit, to properly show her scars. The brand on her left hand is the symbol of the Labour Camp she was held in, burned onto her skin on her first day).